Dr. Howard Schiele graduated the Weill Cornell Medical College of Cornell University in New York, 1965. His internship at Letterman Army Medical Center followed, and soon after that, a residency program in radiology was completed at San Antonio Uniformed Services Health Education Consortium. He is board certified in radiology and during his 51 years of medical career, he published an article with the title “Radiographic changes in burns of the upper extremity ”, written together with other doctors. 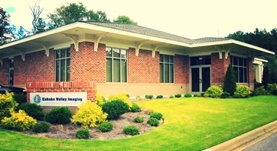 At the time, Dr. Schiele is affiliated with Cahaba Valley Imaging. Dr. Howard Schiele has contributed to 1 publications. Radiographic changes in burns of the upper extremity. Schiele, H. P., Hubbard, R. B., Bruck, H. M.; Radiology. 1972 Jul.